Will Unwin began this series with China’s Fan and Sun…and now turns his attentions to India. India is excellent at lauding its sporting heroes, as the country’s greatest-ever cricketer Sachin Tendulkar and his 23,000,000 Twitter followers will confirm. Their finest footballer, on the other hand, can boast just 12,000 online devotees and three years playing for Bury, but Bhaichung Bhutia still made a momentous impact on the footballing landscape. The son of farmers, Bhutia attended grammar school, where he was taught English and given the opportunity to play badminton, basketball and football in the north east of the country, influencing how his life would progress. Sikkim is not a hotbed of football and his father was not keen on him becoming a professional but he was encouraged to follow his dream by his uncle, changing the young and enthusiastic Bhutia’s destiny in the process. Bhutia’s natural prowess was recognised and when he left school, he was earmarked for a future with the national team and made the move to Calcutta (now Kolkata). He was a first-team player for East Bengal at 16 and would go on to win the league after moving to JCT Mills as he proved his prowess in the Indian game. For a country of 1.13 billion people, there was a distinct lack of opportunity for any player to better himself in what was an amateurish system operating within Indian football. Players were part-time, training grounds were unheard of and the national team have not been in the top 100 world rankings since 1993. 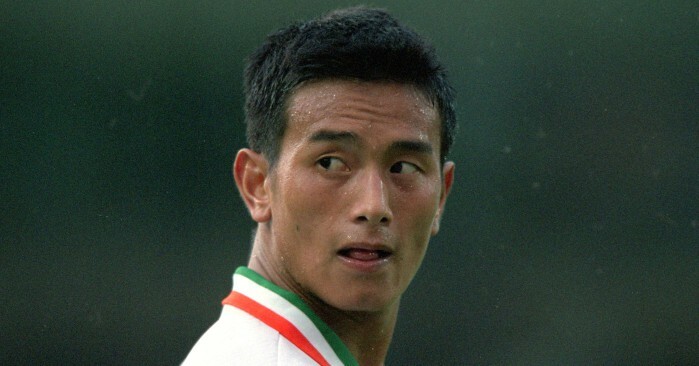 Bhutia had to take his future in his own hands and he decided to try his luck in England in 1999, earning a trial with Premier League side Aston Villa. He failed to do enough to earn a contract and was instead snapped up by Neil Warnock at Second Division Bury. It’s tough to fathom why Warnock would want to sign a small, slender player who had no experience of English football, but the Bury boss took him to Gigg Lane and gave him the chance to be a professional and only the second player from India to play in Europe. When it seemed like work permit issues would halt the move, the club sought the support of two MPs to ensure the move went through. Going from India to Lancashire is a huge move for anyone, as Bhutia found out. He spoke good English but the football was completely different and the lifestyle even more so. Bhutia was used to playing in scorching heat rather than the freezing cold; the football was slower in the Indian heat and far less physical but he was determined to adapt in any way he could to live out his dream. Bhutia made an instant impact by assisting a goal on his debut after he came on against Cardiff in a 2-2 draw. It was a long way from playing in the 100,000-capacity Salt Lake Stadium – which would be full for East Bengal games – but the atmosphere at Gigg Lane meant just as much to Bhutia as it was confirmation of his success. “Here, even if you are playing in front of 4,000 people, because the grounds are very compact and the fans are so close to the pitch you can hear everything, so they make just as much noise as the crowds at home,” Bhutia told The Guardian at the time. Life in Bury was a learning curve for Bhutia, who enjoyed learning about tactics (a concept often ignored in India), but he was rarely a starter for the Shakers. In only his second start for the club in April, seven months after he moved to England, he scored his first goal. A sign of his quality was seen as he smashed in a half-volley with his left foot. He reacted by punching the sky in front of an empty stand at Gigg Lane, which did not quite represent the significance of becoming the first Indian to score in English football. A third and final goal for Bury came as he cut in from the left and curled the ball from outside the area beyond the Rotherham goalkeeper. It was a stunning strike and should have resulted in the Indian kicking on, but instead he would soon be a reserve striker under new boss Andy Preece and his time in Lancashire would pass slowly as he became insignificant at Gigg Lane. Despite his time in England being curtailed, Bhutia would return to India a hero, going on to earn 104 caps, scoring 40 goals in the process. Apart from a brief time in Malaysia, Bhutia would spend the rest of his career being the shining light in domestic Indian football, becoming a legend in his own right. In 2008 he refused to carry the Olympic torch through Delhi ahead of the games in Beijing in protest at the Chinese crackdown on Tibetan demonstrators, an indicator that he was far more than just your standard footballer. “I sympathise with the Tibetan cause. This is my way of standing by the people of Tibet and their struggle. I abhor violence in any form,” Bhutia told the Times of India. As a sign of your impact on a sport, starting your own football club shows you are a pretty big name. Bhutia put his name to United Sikkim and has been caretaker a couple of times. It’s one of a number of intriguing ventures; he won Jhalak Dikhlaa Jaa, the Indian version of Strictly Come Dancing, making him more successful than Robbie Savage on every level. He can even boast running for congress as part of his post-football activities, but he lost the public vote on this occasion. Bhutia is a man not afraid of risk, from politics to showbiz to moving across the world to a place he’d never heard of to live out the life he always wanted as a footballer in Europe, making him a true trailblazer. It might not have been the height of his career but it gave him a taste for risk, something he still chases to this day. He may be forgotten in England but his star is still shining brightly in India.